As part of Scottish Apprenticeship Week 2018, Skills Development Scotland (SDS) organised MSP visits with different companies throughout Scotland. Scottish Apprenticeship Week is an annual campaign which aims to encourage more employers to take on apprentices and more young people to consider an apprenticeship. This year’s campaign theme was announced by SDS as ‘Apprenticeships are the Business’ to show the importance of apprenticeships to individuals, businesses and the economy. Peter Chapman MSP’s visit to Thistle Seafoods gave him the opportunity to meet some of their apprentices and learn about the work they do, he was also able to find out more information about Thistle Seafoods as a company and what they do to support their apprentices. During his visit Peter Chapman MSP had a short meeting with some representatives from Thistle Seafoods, Tullos Training and Skills Development Scotland. This allowed him to find out more about the company and ask questions about the training required to complete a Modern Apprenticeship, he also asked the representatives of Thistle Seafoods how Brexit will affect them as a company. 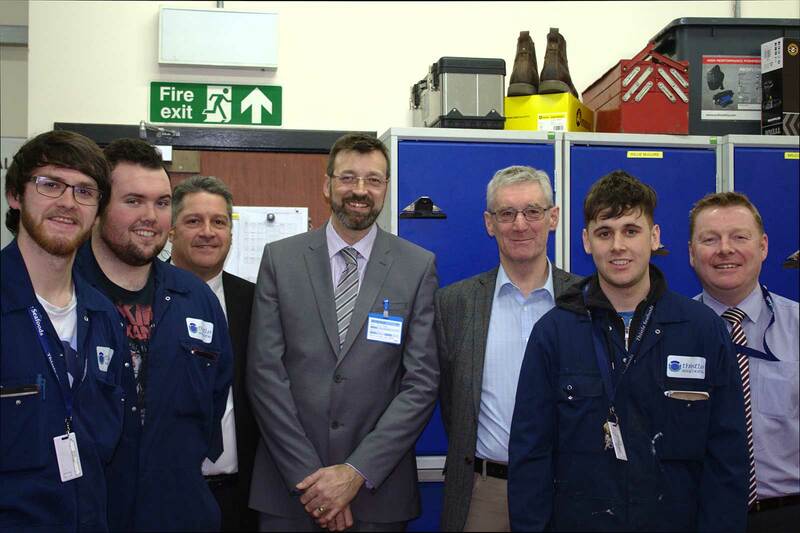 After the meeting, Peter Chapman MSP was given a tour of a section of their premises and got to meet two of their apprentices who attend Tullos Training, Kieran Quigley and Bruce Hutcheson. This provided him with the opportunity to ask the apprentices how they are getting on with their apprenticeships and what their jobs at Thistle Seafoods involve.